The government of West Bengal is going to release several notifications for the recruitment of candidates in their various departments. So, this will be the golden opportunity for those aspirants who want to get govt jobs in west bengal. Being one of the largest states in India, every year, the government of West Bengal comes up with various number of recruitment events to provide employment to the qualified candidates in WB; lots of students appear in various exams to be selected on various positions in the government sector. The upcoming WB recruitment examinations will be best career options for government job aspirants. With these upcoming recruitment events, the government of West Bengal provides a golden opportunity to aspirants to have attractive salary & job security. West Bengal government fills large number of vacancies every year for experienced professionals, college graduates and fresher as well. West Bengal Government departments offer job openings to the students from all the streams, be it science, arts or commerce. WB government provides you a great platform with authority and responsibility in the state government. You can easily apply for a job in any department and gets selected with hard work to get a chance to serve as a government employee. If you want to apply for these examinations then you must know everything about upcoming West Bengal recruitment events. Here we are providing some valuable information about Upcoming West Bengal government exams in 2018. Essential Qualification: – An applicant must have a Bachelor’s degree in any discipline from a recognized institution/college/university or its equivalent. Selection Procedure: Preliminary written test followed by a combined physical measurement test (PMT) & physical efficiency test (PET) then final combined competitive examination having 3 separate papers and in the end, a personality test. Mode of Submission of Application: Offline; must be submitted personally in the DROP BOX kept in the concerned unit/Divisional office. Essential Qualification: – An applicant must have passed 12th/ Higher Secondary Examination from the West Bengal Council of Higher Secondary Education or its equivalent. Age Limit: 30-40years (For ST/SC candidates, the lower age limit is relaxed to 22 years). Essential Qualification: – An applicant must have appeared in 10th/Madhyamik Examination from the West Bengal Board of Secondary Education or its equivalent. Applicants with higher qualification can also apply. But selection will be based on the marks obtained in 10th/Madhyamik. 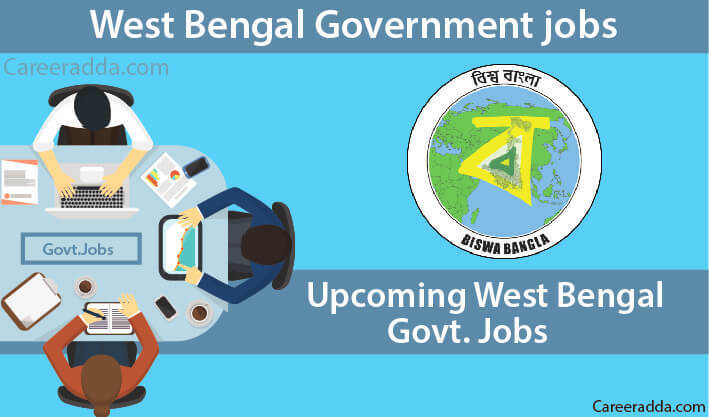 Till now, we have explained most of the latest upcoming government jobs in the state of West Bengal. Very shortly, we will update this writing with latest West Bengal government jobs. If you have any query or feedback then doesn’t hesitate to contact us by commenting below. We are always available to help you guys.